College Professor – MICHELLE MYERS __// spoken word poet. community activist. educator. 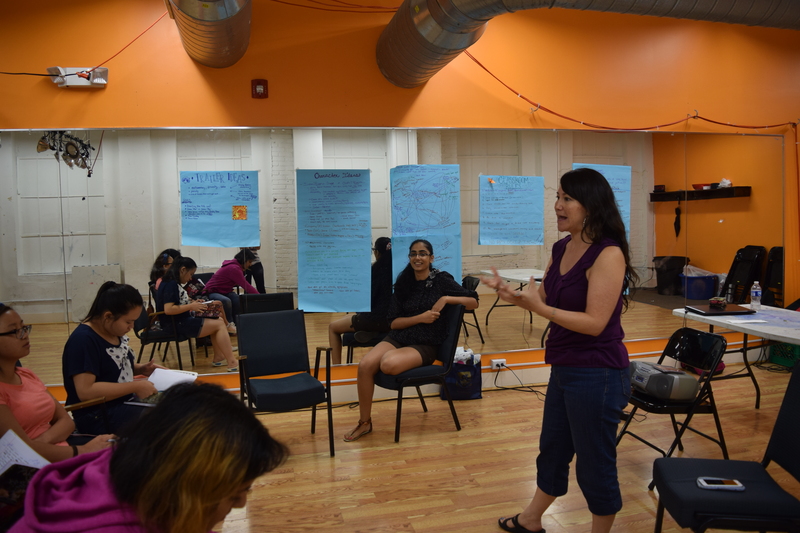 As an educator, Michelle holds a Ph.D. in English from Temple University; her areas of specialization are Asian American Literature, African American Literature, and 19th Century American Literature. She currently is an Associate Professor in the English Department at Community College of Philadelphia and an Adjunct Assistant Professor in the Asian Studies Program at Temple University. At Community College of Philadelphia, she also serves as the faculty advisor of the Spoken Word Poetry Club; the club was presented with a 2015 Spotlight Award and was nominated for Club of the Year. During the 2014-15 academic year, Michelle collaborated with CCPTV to develop a spoken word competition TV show for CCP students called Drop the Mic, which she also hosts. In addition to receiving nominations in 2015 and 2016 for a Mid-Atlantic Emmy, the show has won a 2015 Silver Communicator Award and a 2015 Bronze Telly Award. In 2016, Michelle received a President’s Award for Excellence in Student Success. Current professional affiliations include the 2016 Philadelphia Asian American Film Festival (PAAFF) Academic Mini-Conference Organizing Committee and the Pennsylvania Asian American and Pacific Islander Arts Collective, a subcommittee of the Pennsylvania Governor’s Advisory Commission on Asian American Affairs.